If you were in a Sorority, you may have a lot of T-shirts from that period that you don’t wear any more but you just can’t part with. 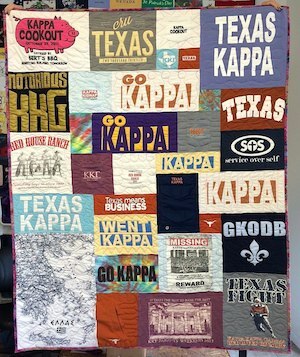 A sorority T-shirt quilt is a perfect solution! One advantage of a Too Cool T-shirt Quilt® is that we can use the front pockets on your T-shirts in your quilt. You don’t have to give up the front of your T-shirt! 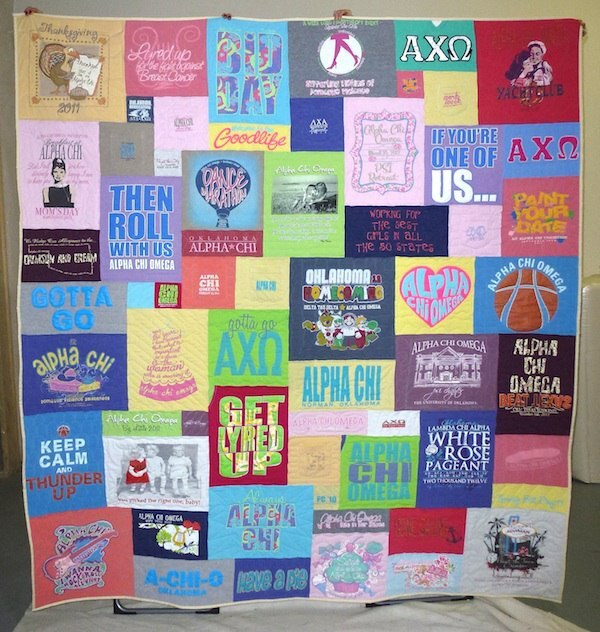 Too Cool T-shirt Quilts® is the leading maker of Sorority T-shirt quilts because you demand high quality and innovation in everything you purchase. And that is a Too Cool T-shirt Quilt®. Looking for more information? 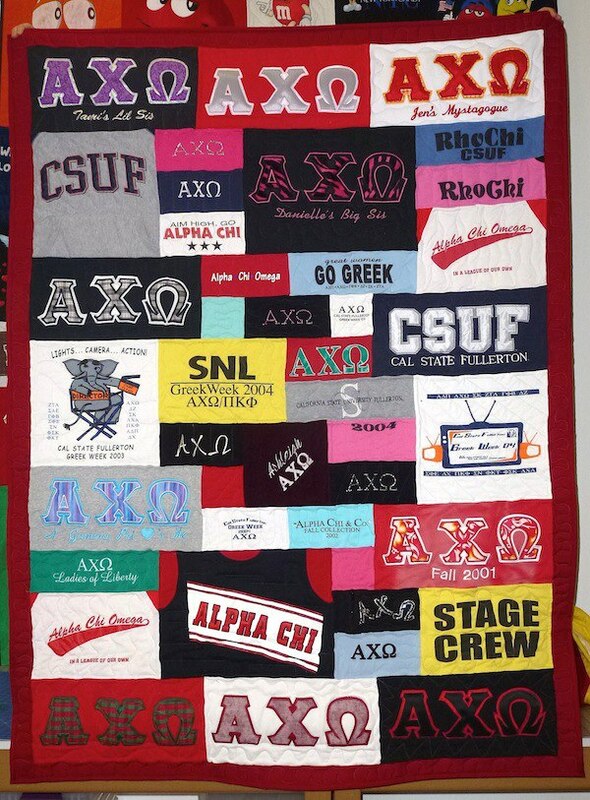 We have written a guide about having a Sorority T-shirt quilt made. 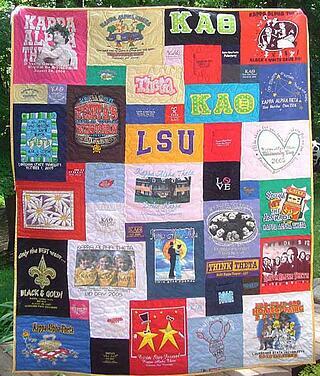 Choose which T-shirts to put in your sorority T-shirt quilt. Decide how to use T-shirts that just have your sorority letters on them. Choose the color for the backing and binding of your quilt. Determine if other sorority related items could be used in your quilt.